A blog dedicated to finding information on dozens of family names (including VAUGHN, McKINNEY, HOGG, REDMAN, ROWDEN, KACKLEY, BYRNES) that led to ME ... plus, general information for anyone trying to get to the roots of their family tree. The thing about genealogy is that you don’t always like what you learn. The census records are phenomenal for providing just such information along with often unwanted glimpses of truth. In the 1920 census, we find Jennie Washington (LEACH) LYNN living with her sister, R. Elizabeth (LEACH) LEE and brother-in-law, Lawson LEE. It appears she has a 9-year-old son (1910) – and a newly discovered child, another son born about 1917. Jennie is listed as “widowed,” which would mean that Elijah Davis LYNN has died. Fast forward to the 1930 census. There is Jennie and her elder son and his wife living in Randolph County, Chester, Ill. Guess who else is living there, too? Elijah LYNN. Wait. He was dead 10 years ago – right? Apparently not. Instead, in the 1920 census, he was listed among the inmates at the Southern Illinois Penitentiary (now the Menard Correctional Facility). Had he not reappeared with Jennie and his son in the 1930 census, I would have fallen for the ruse that Elijah had died prior to the 1920 census. Believe it or not, there ARE several Elijah LYNNs living in Illinois at the same time. So, it might also be safe to conclude that the state prisoner in the 1920 census is one of them. Except that his wife had declared herself a widow during the time he was incarcerated but then magically reunites with him by the 1930 census. I won’t judge. A prison stint had to have been an even bigger stigma then than today (and it’s not all that cool today, either). Makes me feel very sorry for Jennie and their boys though. That cannot have been easy. So, the little white lie to the census taker in 1920? Totally understandable. I thought I was on to something. You might remember that we left the KING family in Arkansas. I had determined that the two Reeves girls were Laura's daughters. So, I set out to try to find a marriage record for Laura before she tied the knot with Albert KING. I found a marriage record for Laura LINN and a C.B. REEVES. The marriage took place on March 26, 1889, in Jackson County. Esther REEVES was born in 1890. Ella followed in February 1892. *The marriage year given for the KINGs is 1890. However, the Illinois Statewide Marriage Index lists it as 4 DEC 1898. Add to that, that in 1890, Laura was conceivably married to C. B. REEVES and still would bear one more child with him – in 1892. Not likely that she married Albert KING in the interim. *Laura KING is listed as the mother of three children. One of those is Richard KING, born 4 APR 1894, and the other is Nathaniel KING, born 25 JAN 1900. So … something is off somewhere. Either Richard was born in 1894 – and he is just Albert's natural son, or else the couple wasn't yet married when this son was born. OR … the marriage date is wrong in both the 1900 census AND in the Illinois Statewide index. Yet another mystery to work through! But at least I finallyl know WHO the REEVES girls were. This Martha appears to have been the youngest child of Ezra David (or David Ezra) GREGORY, son of Martha Catherine LYNN and Isaac GREGORY. Martha married George BUTCHER and it appears that this couple was quite busy: they had eight children! "Four of the Murphysboro fatalities occurred in one family. Mrs. Martha Butcher and three of her children were hurled from their home and tossed into a nearby field. All were killed." Martha was only 30. In a different article, I found the children listed: Donald, 5, Mary Jane, 12, and Janet, 3. Wow. How incredibly sad. Martha (GREGORY) BUTCHER was the first of her three siblings to die. Today, all three grandchildren of Martha (LYNN) GREGORY's listed in the 1930 census are gone. Billie (GREGORY) BRIMM died in 2009 at age 84 and Lorin GREGORY, the eldest, died earlier this year (in March); he was almost 90! In continuing to dig for information on the children of Lewis C. and Martha J. (LEE) LYNN, I managed pretty easily to find information on their daughter, Martha Catherine (LYNN). In the Illinois Statewide Marriage index (I TOLD you it’s a great resource) I found her marriage to Isaac F. GREGORY on Sept. 25, 1897, in Jackson County. In some ways, genealogy is a lot like a game of checkers or chess. It takes a combination of strategy and luck to win. Laura LYNN was born in Kentucky in 1865, according to multiple census records. So, on a whim, I visited one of my favorite sites: the Illinois Statewide Marriage Index. For "bride," I entered LYNN and checked only Jackson County (where Murphysboro is). And up pops a short list. At the very top? Albert James KING and Laura LYNN, married 4 DEC 1898. Hmmm. Could be. So on another whim, I added Albert as a spouse to Laura in my ancestry.com database. And suddenly, a family appears. Laura and Albert's firstborn, Richard, is listed in multiple censuses as born in 1894. And then in another census, it lists their marriage year as 1890. Well, maybe it's NOT the right Laura LYNN. I followed them through a few more census years – including 1900 and 1910, which place them in Union County. (And it adds an interesting twist listing her as a mother to THREE children, when there are only the two sons born by 1910. And there are two girls with a different last name, listed as step-daughters to head of household. Meaning, Albert's stepdaughters. Hmmm. But if they're HER daughters, wouldn’t she be mother to FOUR?) Or maybe the first child is HER stepson. At any rate, I'm still not convinced it's the RIGHT Laura. Then, I find the 1920 census listing for this family. They are now in Taylor (Craighead County), Ark. Hey. Wait. That's where I found my grandmother and her sister, Nevada, in 1920 – living with Laura's brother, their uncle – John LYNN. I call up the image of the census record and then I see it. The KINGs are living RIGHT NEXT DOOR to John LYNN, et al. I don't think I need much more proof than that. Laura though is only the first of the ELEVEN children of the LYNNs. And by following the same method as I did with Laura, I quickly found another of the Sisters LYNN: Martha Catherine. To a lot of people, genealogy is boring. So what if their ancestor was on the Mayflower? They’re dead – and that was almost 400 years ago. Move on, already! Our family pictures (which we are fortunate to have quite a lot of, at least on my mother’s side) are among my most cherished possessions. So when I come across a picture of an ancestor – which is akin to the Holy Grail for a family historian – it is nothing short of thrilling. And the thrill is multiplied exponentially when it’s of ancestors I didn’t know existed. That was the case with Lewis C. and Martha J. (LEE) LYNN. I’m not sure how I got to them exactly but when I found them, I also found this photo. 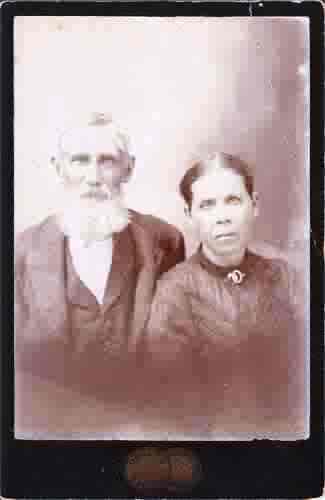 *confetti flies* These are my great-great-grandparents, the parents of Harvey A. LYNN! I’m just getting acquainted with this line and what a fascinating discovery it has been already. The shocking thing is that in glancing at Martha, I see one of my late aunt’s eyes! (And, I also see the shape of my own face.) I think history was a little kinder to us genetically with the nose but it doesn’t matter though. These two couldn’t be more beautiful to me if they were cover models. I have no idea when this photo was taken; wish that I did. Maybe the 1890s? I found a distant cousin from Susan Jeanette's line, too, so DOUBLE SCORE! So I found Nevada. In 1920, in Arkansas, with my grandmother and their uncle. 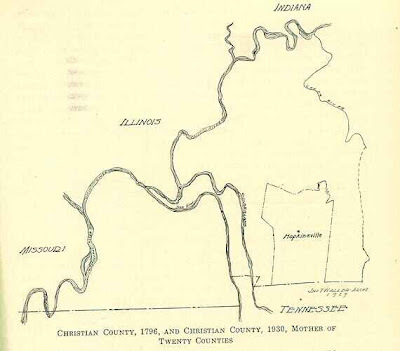 Then, Nevada was back in southern Illinois (Murphysboro) by at least 1927. And I confirmed that with the 1930 census. Harold W. "Pete' Burbank, Sr., age 75, of Murphysboro, passed away at his residence in Murphysboro at 12:20 p.m. Monday, August 14, 2006. Harold was born on December 27, 1930, in Murphysboro, to Harold G. Burbank and Nivula Lynn Burbank. His father later married Lucille Martin, who raised him. OK. Couple of immediate red flags here. This information confirms that he is Nevada’s son. But Nivula? To not even have her name right? And then the mention of the stepmother “who raised him.” That means one of two things happened: Nevada died while Harold was quite young … or else she took off. The truth can be ugly and you find out some really nasty things about your family sometimes when you go poking around. While I was trying hard to give ole Nevada the benefit of the doubt (you can’t after all help it if you DIE),I found a marriage license. In 1940, Nevada BURBANK and Edward BISHOP, both of Murphysboro, applied for a marriage license in Cape Girardeau, Mo. Did they actually use it? On the other hand, I know all too well what it’s like to have a parent walk away from you. If this is what happened, my heart bleeds with empathy for Harold. What he must have thought of his biological mother! My quest for Nevada LYNN is not complete. It did, however, recently get two huge kicks forward. I previously wrote about finding Nevada living with Lawson LEE in Murphysboro, Ill., in the 1930 census, a listing identifying her as his niece. (The explanation of that connection would come later. More on that line soon.) My grandmother was already married to Herman Ira VAUGHN and living with their first child (daughter Dolores I. VAUGHN) in Illinois, just across the river from St. Louis. Marthy L. LYNN, age 9, and Nava?? LYNN, age 7, listed as nieces to the head of household, John LYNN. John is the elder brother of Harvey. Ding, ding, ding, bingo! Now, there are all manners of LYNN/LINN families to be found in Arkansas (more on that hot mess later) but this is most surely them. Mr. and Mrs. Harold G. BURBANK of 416 North Street are the parents of a son born Saturday. This is the first child in the home and has been named Harold Wayne. The mother was before her marriage Miss Nevada LYNN. After years away from this blog, I'm picking it up again. And, I'm picking it up at a place I never thought I would: my paternal grandmother's line. I started pretty much the same way I did with my paternal grandfather's line: the names of my great-grandparents and the places they were born. And so, I got my introduction to the LYNN and LEACH families. And in the past few weeks, I've found even more surnames that have limbs on my family tree (names like SANDERS and LEE). My first stop though was something that should have been relatively simple: Finding my great aunt, my grandmother's younger sister. 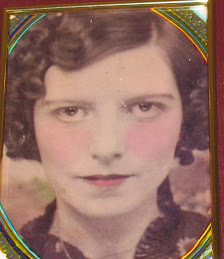 The problem was that the story I always heard was that my grandmother was orphaned. (Turned out that's mostly true.) I never even knew she had a sister! She died when I was a baby so I never got to know her. But, I did know that her name was Martha Lucille LYNN. Her sister? Vada was the name I was given. There are LOTS of Vada Lynns out there, both with Lynn as maiden and a married name. Didn't make my job easy. Then, out of the blue, I find a Nevada LYNN living in an Illinois county where I know some family lived. Didn't recognize the name of the family she was with but ...the census said young Nevada was their niece! Hmmmm... could this be her?! I began looking for Nevada LYNN in earnest and kept hitting dead ends. Sometimes though, persistence really does pay off. And while my hunt for Nevada is far from complete, I've covered some real ground. So if you're out there following, hang on for my next stops on the journey. I found this link that brings us to yet another Joseph Vaughn and another George Vaughn. Or, is this George Vaughn the same George Vaughn, the George who is the father of Joseph Vaughn of Pope County, IL? Could be. Or, maybe not. I'm betting, however, that there is a connection here somewhere. This is exactly what I mean when it comes to using the same name over and over and over again. It gets really tough to keep track of which one is which. Seems too coincidental to me, especially when you get a look at a map like this, pre-1800, which shows the territories before all the state lines got worked out. This really makes me wonder. Especially when there's a George Vaughn, who may or may not be Joseph's father, who married in Christian County in 1798. And ... according to at least one census AND his Civil War muster, my George Vaughn was born in Sumner County, Tenn. Maps like this make details like that make a whole lot more sense. 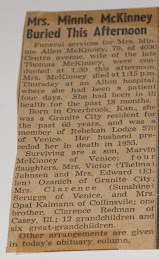 This is Minnie REDMAN McKINNEY's obituary. Her REDMAN roots are my latest root-diggin' adventure. 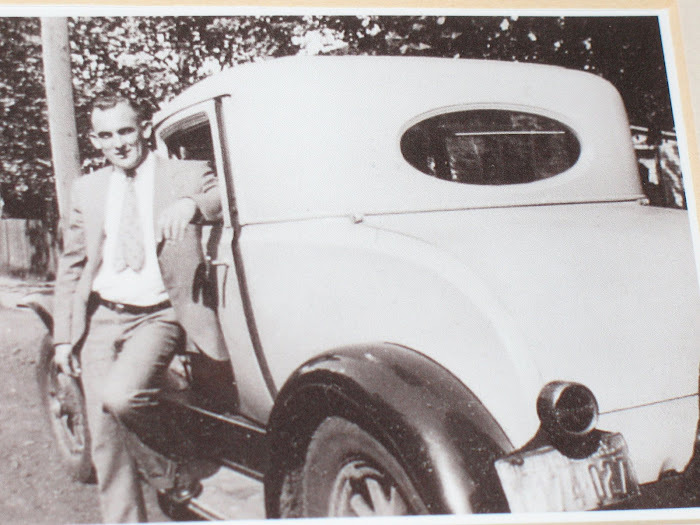 1920s -- Seeing my grandfather as such a dapper young man is a real kick! This is probably my favorite pic of him.